The beautiful village of Cley-next-the Sea is roughly 4 miles from Holt on the breathtaking north Norfolk coast. 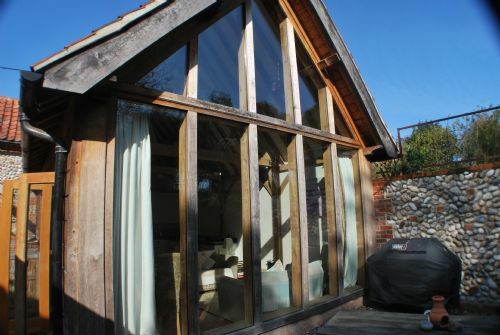 Its windmill dates from around the early 18th century and overlooks Cley Bird Sanctuary. Cley windmill has been transformed into a small guesthouse, with the surrounding boathouse and sheds also now holiday accommodation. Cley attracts many visitors, especially those that have an interest in bird life. There are over 400 acres of marshland, many boardwalks and bird hides and Bittern and Avocet can sometimes be spotted as well as rare migrant birds. St Margaret's church, which overlooks the Glaven valley, dates in part to the 13th century and is a very dominating feature of the village. The perfect couples retreat! A charming, beautifully renovated cottage tucked away in the village of Cley-next-the-Sea with lovely views of the church and the open countryside from the upstairs windows. With a fabulously spacious open plan living area with gorgeous kitchen and upstairs Super King ensuite bedroom, you won't want to leave! An elegant conversion designed by a well known local architect with an impressive open plan living space, full height vaulted ceiling and fully glazed gable end of the property, ensuring that the main living area is bathed in light. Upstairs, there are two delightful heavily beamed bedrooms. Hambledon House is as pretty as a picture, with a flint walled cottage garden to the front and roses around the windows. Its cosy rooms are full of character with fireplaces, beams, pamment flooring and pretty, floral wallpapers. 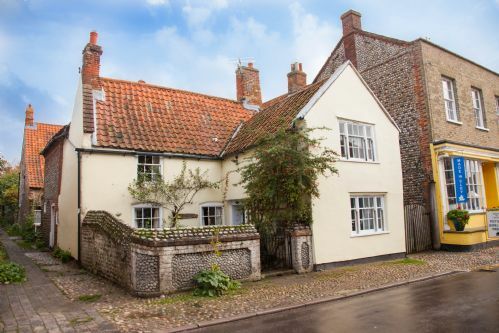 A charming property on a quiet lane, close to the centre of Cley-next-the-Sea. It is all on one level, with a bright and sunny sitting room/dining area with French doors leading onto the enclosed garden, a modern well equipped kitchen, two bedrooms and two bathrooms.